Click here for the 2017 CDSS ICWA Training Materials. Circumstances may sometimes require a parent to leave his or her child in the care of a relative (caregiver). Without a formal court-ordered guardianship, this arrangement can create problems for the caregiver when seeking to enroll the child in school, obtaining medical treatment or applying for government assistance. The ICWA is a 1978 federal law that was passed to prevent arbitrary and sometimes racist grounds used by state works (CPS) to remove Indian children from their home and tribal community. The law directs state courts to follow set standards and guidelines when an Indian is involved in a “child custody proceeding.” CILS represents tribes in state court where the ICWA is found to applicable. 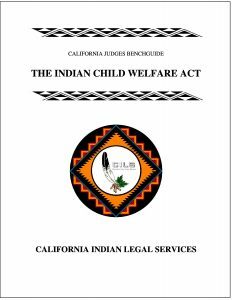 Because of the confusion surrounding the application of the ICWA to state child custody proceedings, CILS drafted an “Indian Child Welfare Act California Judges Benchguide” that addresses the provisions of the ICWA and how the law should be applied in state court. The Benchguide also provides useful information on how, when and where the ICWA applies. 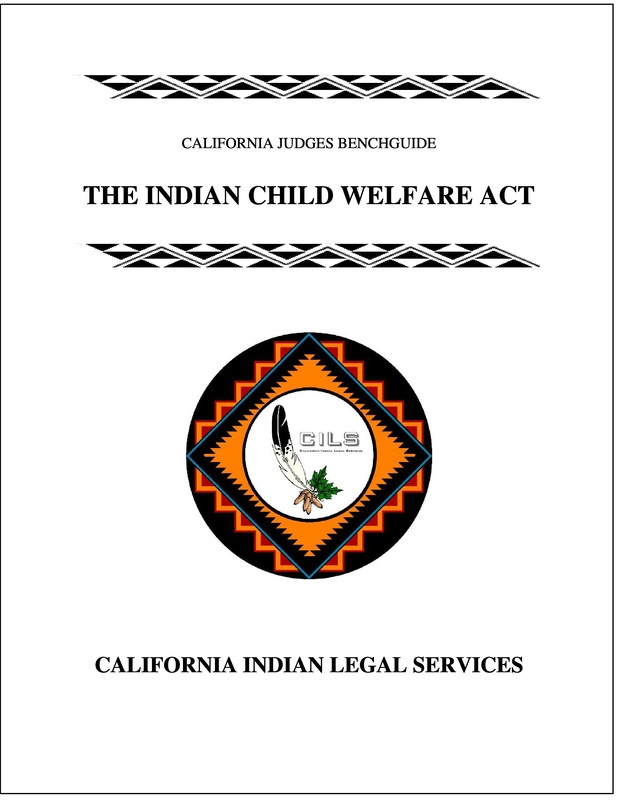 Download your Indian Child Welfare Act California Judges Benchguide here. These publications can be reproduced without the express permission of California Indian Legal Services. However, this work may not be altered, changed or amended in any manner. This guide/form explains what an “Indian custodian” is. It also explains what responsibilities and rights Indian custodians have. This guide can help you if you are an Indian custodian or you need to become one. This guide can also help you if you are an Indian parent and you think you want someone else to be an Indian custodian for your child. A “Designation of Indian Custodian” guide and form are here for you to use. 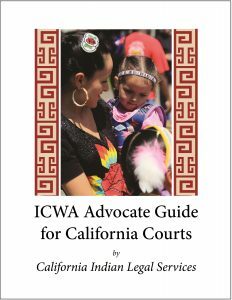 The ICWA Advocate Guide is designed to assist ICWA advocates and tribal representatives who appear in state court. Not all California tribes have the resources to hire attorneys for every dependency case. In the alternative, tribes regularly rely on tribal social workers, referred to an ICWA Advocates. As a general rule, most other parties in dependency cases are represented by appointed or assigned legal counsel, including the social services agency, the parents or Indian custodian, and the child. The ICWA Advocate Guide is intended to serve as a reference tool for tribal advocates in their participation in the dependency proceedings. 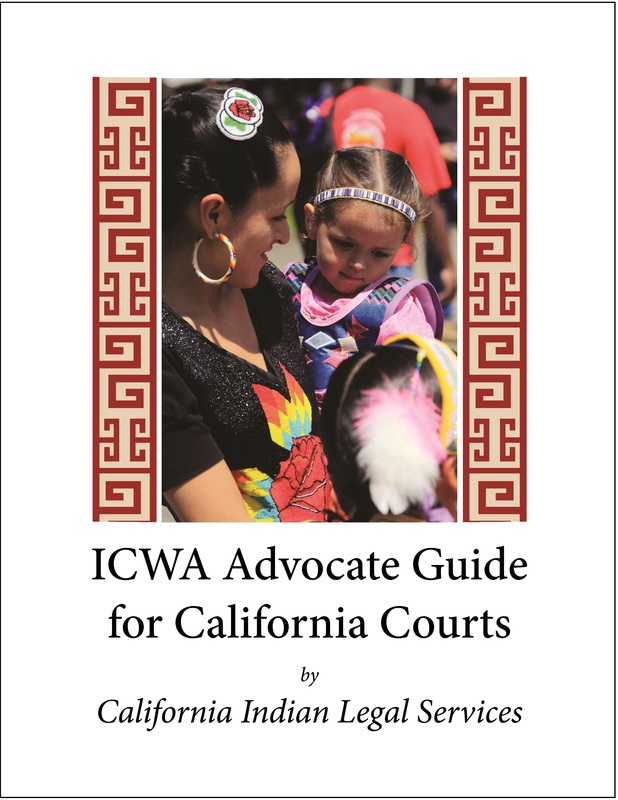 Download your ICWA Advocate Guide here. This ICWA Webinar Series is designed to provide tribal ICWA social advocates with the training resources and expertise. This series begins with an understanding of the cultural impact that the dependency system has on the Native population. Also included is an overview of the dependency and delinquency system and applicable ICWA and state laws. Finally, the program will help the advocates develop and strengthen their courtroom advocacy skills. This ICWA Webinar Series will expand the skills of tribal ICWA advocates. The substantive knowledge and advocacy skills developed through these webinars will better equip the advocates to more effectively represent their tribes and clients in court leading to better outcomes for tribal children and families. The goal is to ensure that Native American children are not deprived of their Indian heritage. Click on the YouTube logo to go to the CILS Channel featuring an ICWA advocate training webinar series. Click here for the 2016 Statewide ICWA Conference Materials.